EA clearly hit a nerve with Battlefield 1: the trailer’s had over 30 millions views and by the publisher's own admission is “the most seen trailer in the history of EA”. 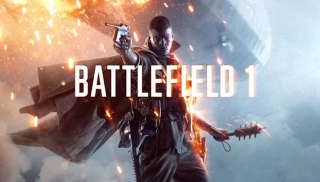 However it wasn’t a sure thing when it was first pitched and, speaking in a recent investor call, Patrick Söderlund, executive vice president of EA Studios, admits he turned the idea down at first. “When the team presented the idea of World War One I absolutely rejected it,” he says, adding, “I said 'World War One is trench wars, it can’t be fun to play'. But the team continued and persisted that this could be fun and showed up with a very short demo that convinced me, at least, that this was the right path”. Söderlund admits that WW1 wasn’t the “the most obvious choice” but whatever that demo was it sealed the deal and rest is literal history. “The good news is whenever you take creative risks and it works is you can actually get to substantial success,” he says, I think what the interest is telling us, with 31 million views and the most seen trailer in the history of EA, is that I think the World War One theme is resonating with players out there. I think we have done something that will be right for the franchise and right for EA”.